Mixed (180) - 56% of the 180 user reviews in the last 30 days are positive. Mixed (34,262) - 64% of the 34,262 user reviews for this game are positive. We'll be performing a regular maintenance on Wednesday, April 24th, starting at 4:00 A.M. CEST. During this period, all servers will be unavailable and we anticipate the maintenance to last approximately 5 hours, concluding at around 9:00 A.M. CEST. CEST: 4:00 A.M. – 9:00 A.M.
PT: April 23rd 7:00 P.M. – April 24th 12:00 A.M. ET: April 23rd 10:00 P.M. – April 24th 3:00 A.M. Note: Please note that the estimated length of time for each maintenance is subject to change without notification. CSN:Z servers and client will be restarted. We've made it midway through April! How are you keeping up with your plans for the month? Let's see how our plans for CSN:Z's April patch suit you! We've renewed TDM mode upon our development plan! Here's a simple description of the changes! This will distribute players automatically upon a number of players and your level. This will also change your spawning point if you have been killed a couple of times or your death count reaches a certain point. When you are hit by someone, your HUD will show differently. If you are being killed continuously or your death count reaches a certain point, your invincibility time will be extended when spawning. Damage of some of the weapons have been adjusted in the original mode/TDM. More details will​ follow next week. The Daily Rewards have been revamped! The cumulative rewards have changed to be more practical. Reach 10 minutes of in-game play time after logging in. With the new Daily Reward system, get decoders and cumulative rewards! We decided to extend the sale of the 4 Parts Weapons in the Shop until 5/15! They're only available during the event. Purchase these weapons soon, before they expire and disappear from the shop! Lucky Transcendence Class Boxes will be on sale for the entire promotion! You can only buy them during the promotion, though, so don't miss out! All unused Lucky Transcendence Class Boxes will be removed during the 4/30 maintenance. The boxes will be replaced with 50 mileage each. Unlike before, there is no Guaranteed Transcendence Class Box. The 30-pack and 100-pack sets will be sold at a discount. Let's Watch Huxley's review video on YouTube! Here's the voice of Axion and Aetheris! You will get Season 1 Transcendence Class Costume item(s) based on how many Lucky Transcendence Class Boxes you use during the event. When you've used the required number of boxes, you'll immediately get the corresponding costume. Each account can only receive each reward once. A new medal is coming! We know you've been waiting for it, so look forward to this one! 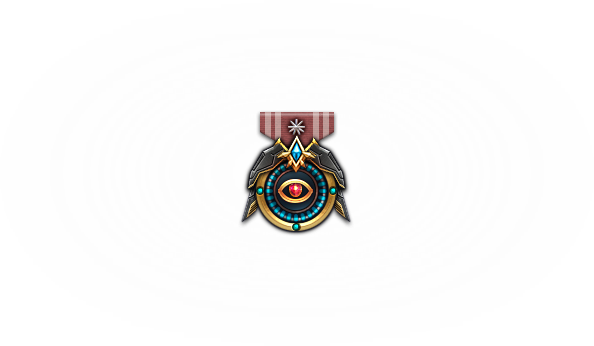 This Overseer medal can only be obtained once per account. When you log in during the event, you'll receive temporary weapons. And when you meet the play time requirements, you'll get more rewards! Isn't it simple? When you reach the target play times in Zombie Z mode, you will receive the following rewards. Each account can only participate once in this event. Up to 150 minutes of play time can be counted each day. Play time only counts in Zombie Z rooms with 8 or more players. Once again, we want to thank you all for your continued support of CSN:Z. We hope you enjoy these updates, and we can't wait for you to see what we've got in store! Check out our new updated contents 'Zombie Scenario 2nd Reboot!'. One of the most influential FPS franchises, Counter-Strike is one of the most popular online games to date. Pitting Terrorists VS Counter-Terrorists, players face off to complete their objective in round-based combat. Fast paced action blends with precise, tactical strategy to make for a warzone that anyone can pick up and lets the pros rise to the top. For the first time on Steam, Nexon is making a slice of Counter-Strike history available to everyone! Classic Counter-Strike action, new modes, new guns, new characters, Free to Play—what else are we missing? That’s right, ZOMBIES! We welcome you to do your part in cutting down the undead masses. You’ll find plenty of Zombies there in both PvP and PvE flavors. ▪ Free to Play: Counter-Strike Nexon: Zombies has no cost to purchase or any subscription fees, just download and load up to get started. ▪ Loads of Modes: Zombies is right in the name, and you’ll find both PvP and PvE gameplay featuring all sorts of undead to kill. Advance through intense Zombie Scenarios that include boss fights, take charge with unique abilities and characters in Zombie Hero, or lead a team of survivors building and defending your base against continuous zombie waves in Shelter Mode. There’s much more than just Zombies, over 20 different modes to explore such as Beast Mode, Bazooka Mode, and Football. For veterans of the series, enjoy offerings from the original Counter-Strike including Bomb Defusal and Hostage Rescue. ▪ Maps: Discover the history of regions and lives torn to shreds by the Zombie menace in the maps of Zombie Scenario. Each Scenario offers multiple maps to unlock if you can survive its challenges to reveal the conspiracies behind the undead! There’re over 60 Zombie filled maps to play and master in Counter-Strike Nexon: Zombies. We know what you’re thinking. It wouldn’t be Counter-Strike without de_dust! The classic maps of Counter-Strike are all included from both the original release and previous Counter-Strike Series. ▪ More Guns: The arsenal is much larger and more diverse in Counter-Strike Nexon: Zombies, because you’re going to need all the firepower you can get to stay one step ahead of those walking corpses. Twelve-gauge staples of putting Zombies down for good can be had, such as the Double Barrel shotgun or the KSG-12 combat shotgun, but maybe you’re looking to keep some distance from the dead. Grab an Skull-5 and pop some skulls or the Dual Infinity to slay Zombies with style! ▪ New Female and Male Characters: The living dead are both numerous and diverse in Counter-Strike Nexon: Zombies. Most importantly, you can play as these vicious creatures when you turn to the other side! You’ll find unique skills and attacks in each of the Zombie characters available all to help you be the best undead you can be. For the living, choose from a variety of exclusive characters for both Terrorists and Counter-Terrorists, including female characters! ▪ Crafting to Create and Enhance: An exclusive Crafting system lets you improve the weapons you own, or make new guns to score some of the best armaments in the game. Whether changing the skin, upgrading stats, or seeking a new firearm just play matches to get the materials you need. ▪ All in the Family: Unite and fight together! The Family system lets you partner up with friends to earn rewards faster and obtain special gear by playing together in Counter-Strike Nexon: Zombies. In addition, use the Family system to share equipment you own with others in the same Family. ▪ Continually Updated with New Content: We want you in the game! Who else is going to keep these Zombies at bay?! We are going to be hard at work bringing you more Zombie Modes, more maps, more guns, and more of everything to fulfill all those corpse killing needs. Make sure to hop into our Steam Community Hub to speak up about the game you want to play and keep playing. You will need to create a Nexon account to use this page, and to submit a ticket. 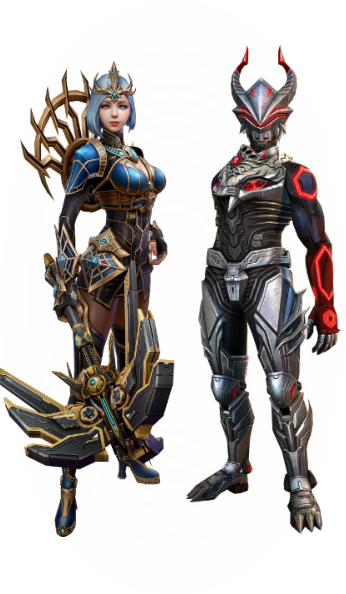 Copyright © 2015 NEXON Korea Corporation & Valve Corporation All Rights Reserved. 344 Curators have reviewed this product. Click here to see them.